Your child is learning about the importance of cleanliness and the role proper handwashing plays in preventing the spread of infection. 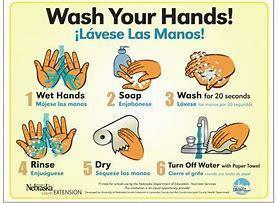 “Handwashing is the single most important means of preventing the spread of infection,” according to the Centers for Disease Control and Prevention (CDC). We are reminding children to wash their hands with soap and water for 20 seconds before and after eating, after using the toilet, after sneezing, coughing and wiping their noses, after playing outside and/or with shared toys and when they come home from school. Please encourage your child to put into practice the skills he/she is learning. Both your example and your encouragement are important.